Last February the legendary TV series, Expediente X (X-Files) finished its probably last chapters. Mulder and Scully returned this year, fourteen years later, to try to close the opened plots or, maybe to bring joy to nostalgic fans. Unkown events are always disconcerting for human beings. Our brain works with experiences and activities we’ve never done before, are always confusing, feared or just ignored. Our students on www.spanishviaskype.com often deal with structures, grammatical forms or meanings they can’t understand. They’re just inexplicable for them. This is what makes unique that new language. Once you control them, you will do the same with that tongue. 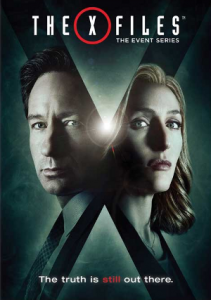 Let’s see some of those “X-Files” in Spanish. Gente (people). Actually, the problem is not just the word gente but all of this kind of collective nouns, which mean a group of people, animals or things. We’ve corrected many times sentences like this: gente en España beben sangría y son divertidas (people drink “sangría” and are funny in Spain). Gente, equipo (team), banda (band), manada (pack of wild animals) are singular in Spanish. They refer to a unit; a unit formed by many subunits, therefore the correct statement should be: la gente en España bebe sangría y es divertida. Verb “haber”. As you may know, this verb is an auxiliary one. It’s used to form compound verbs (hoy he comido en el restaurante / I’ve eaten at the restaurant today). In addition to this, it’s also got lexical meaning: it expresses the existence of something we didn’t know before. When this verb is formed in the present simple, there is no problem (we only use “hay”), but with the rest of tenses… here comes the trouble. We have to deal with mistakes like this: “cuando era niño, no habían muchos coches en mi pueblo” (When I was a child, there were not many cars in my town). We always need to use this verb in third person singular. The reason? “Many cars” is not the subject in the sentence, it’s the direct object in Spanish. For us, it’s an impersonal sentence (there’s no subject there). Here you have the correct one: cuando era niño, no había muchos coches en mi pueblo. Cuando + future events. It’s difficult to accept, I’ll give you that, but it’s required in Spanish. What am I talking about? If we need to use a temporary conjunction, such as cuando (when), tan pronto como (as soon as), mientras (while), antes de que (before), etc., we can use past tenses in the indicative mode to talk about past facts; If we have to talk about frequent activities or habits, we should use the present in the indicative mode; therefore, it’s logical for you to think that we’ll use the future tense in the indicative mode if we are going to express a future action. Something like this: mañana compraré libros cuando iré a la ciudad (I will buy some books, when I will go to the city tomorrow). Well, nothing further from the truth: you must use the present in the subjunctive mode: mañana compraré libros cuando vaya a la ciudad. Why? We’re using a secundary clause relating to a no factual action because it’s not happened yet. As Fox Mulder could say: “truth is out there”, let us tell you that la verdad está aquí dentro (truth is in here). If you want to puzzle out more mysteries of Spanish language, don’t hesitate and reserve a free lesson with us via Skype before being abducted by green aliens.